Southern Cross Canvas manufacture a vast range of different style’s of tents to suit numerous applications ranging from your quick and and easy to use, touring style tents through to your cabin style tents. Renowned for manufacturing canvas tents and products to the highest standards of quality and workmanship, you are sure to find a canvas tent to suit your requirements, and offer years of hassle free camping. They are also specialist in manufacturing custom work also. So if there is not a products to suit your requirements do not hesitate to contact them to discuss the possibilities. Ultimate 10 The Ultimate 10 is the third smallest tent that we manufacture in our range. Manufactured using Wax Converters Billabong 370g/sq.m (10.9oz) canvas. It consists of three windows with flywire and one opposing door with flywire. With an overall height of 2260 mm and a roof frame of 800 mm square. 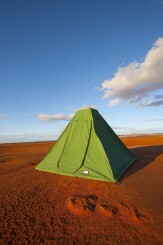 It means that this tent packs up into a bag of 1000mm x 1000mm x 150mm, with a weight of 17 kgs. With the capacity to sleep 2 -4 people. 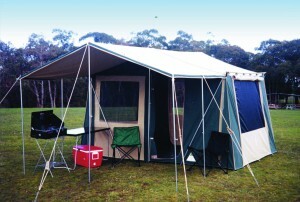 Ultimate 11 The Ultimate 11 is the only rectangle floored tent we manufacture in our range. Manufactured using Wax Converters Billabong 370g/sq.m (10.9oz) canvas. It consists of two internal windows with flywire, one external window with flywire and one opposing door with flywire. With an overall height of 2260mm and a roof frame of 800 mm square. 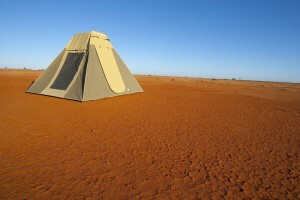 It means that this tent packs up into a bag of 1000mm x 1000mm x 150mm, with a weight of 18 kgs. With the capacity to sleep 2 -4 people. Ultimate 9 The Ultimate 9 is the second smallest tent that we manufacture in our range. Manufactured using Wax Converters Billabong 370g/sq.m (10.9oz) canvas. It consists of three windows with flywire and one opposing door with flywire. With an overall height of 2150mm and a roof frame of 800 mm square. 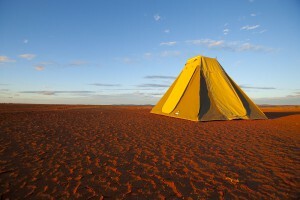 It means that this tent packs up into a bag of 1000mm x 1000mm x 150mm, with a weight of 15 kgs. With the capacity to sleep 2 -4 people. 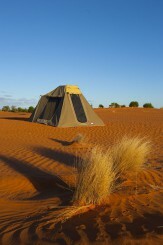 Ultimate Deluxe The Ultimate Deluxe is the third largest tent that we manufacture in our touring range. This models suits families and large groups. Manufactured using Wax Converters Billabong 370g/sq.m (10.9oz) canvas. It consists of three windows with flywire and one opposing door with flywire. With an overall height of 2150mm, a rear frame height of 1120 mm. And a roof frame of 800 mm square. 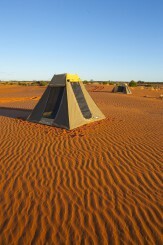 It means that this tent packs up into a bag of 1000mm x 1000mm x 150mm, with a weight of 20 kgs. With the capacity to sleep 2 -6 people. 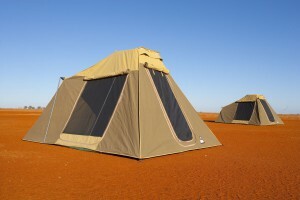 Ultimate Trekker The Ultimate Trekker is the second largest tent that we manufacture in our touring range. And one of the most popular. It offers the perfect balance of size for those extended stays. Yet the ease of set up and packing up when touring is also magnificent. This models suits families and large groups. Manufactured using Wax Converters Billabong 370g/sq.m (10.9oz) canvas. It consists of three windows with flywire and one opposing door with flywire. With an overall height of 2150mm, a rear frame height of 1620 mm. And a roof frame of 800 mm square. 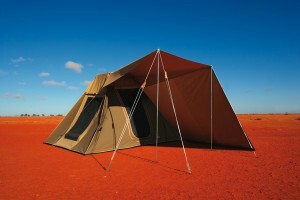 It means that this tent packs up into a bag of 1000mm x 1000mm x 150mm, with a weight of 25 kgs. With the capacity to sleep 2 -6 people.